What can we make of England’s squad numbers? To be honest, not a lot! The squad list released offers clues rather than the big picture. I remember when Capello announced his squad numbers ahead of the 2010 World Cup. 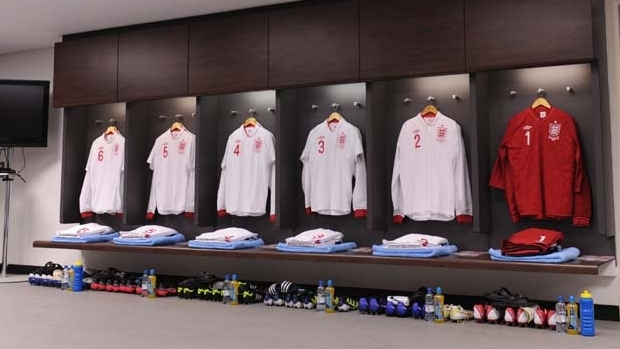 According to his list, Engalnd would have set up like this in the opener against the USA: James, Johnson, Dawson (assigned the no.5 shirt because of Ferdinand’s injury), Terry, Cole, Lennon, Gerrard, Lampard, J. Cole, Crouch, Rooney. But this is how they actually set up: Green, Johnson, King, Terry, Cole, Lennon, Gerrard, Lampard, Milner, Rooney, Heskey. As evident from this, the squad numbers reveal the majority of the team but not the entirety of the starting XI. From this most recent squad list, Hodgson appears to have established his back five. Joe Hart is a dead cert to start in goal. Ashley Cole’s performances, especially towards the end of last season, have ensured he maintains his place. Glen Johnson’s experience should keep out the versatile Phil Jones. It appears as if Gary Cahill has been favoured alongside John Terry over Joleon Lescott. Hodgson will have been encouraged by the partnership they have formed at Chelsea and Cahill’s pace provides perfect cover for an ageing Terry. The midfield is more likely to break away from the list. Steven Gerrard is certain to start in the middle in his new role as captain. With this occurring, I see it more likely that Scott Parker gets the nod over Frank Lampard. With Hodgson’s tendency to play two upfront, it is pivotal that someone like Parker is picked to balance out the team. Ashley Young may start in a support striker role as he did in the recent friendly against Norway. He should line up just behind Andy Carroll for the opener and revert back to a left wing role upon Rooney’s return. Theo Walcott has been awarded the iconic no. 7 shirt but Hodgson is known to favour a winger who performs defensive and attacking duties. James Milner may be the player he favours. Having led the line against Norway, Andy Carroll looks set to retain his place for the rest of the competition. Hodgson will not opt for Rooney upfront alone. He believes that the team should be built around Rooney, with him operating in his favoured no. 10 role.